On 01 May, 2016 at 4:00 p.m., a fire was discovered by crews on patrol. At this point, the fire was just two hectares in area. Two hours later, at 6:00 p.m., it had grown to sixty hectares. A local state of emergency was declared at 9:57 p.m. The fire raged out of control and on 04 May at 4:00 p.m., a provincial state of emergency was declared. The wildfire, nicknamed “The Beast” for its unpredictability, became the costliest, insured natural disaster in Canadian history according to the Insurance Bureau of Canada. There was an estimated $3.77 billion in claims by mid-November. It has been named Canada’s biggest weather story of 2016 in an annual list compiled by top meteorologists. The Fort McMurray wildfire was so powerful it created it own weather patterns. The heat from the fire caused the Arctic Sea ice to hit a record low, created lightning storms and other weather events. IODE Alberta members were quick to support the relief efforts in many ways. Evacuated Fort McMurray residents were re-located across the province. IODE Dardanelles, Carstairs, AB, provided clothing and household items to a displaced family who was staying at the local campground. They also provided similar items and a gift certificate for the Carstairs Co-op in support of another evacuated person. Two thousand dollars in bedding, clothing and gift certificates were sent to Fort McMurray relief centres. Many other Alberta chapters donated clothing, furniture, bedding and financial support for those impacted by the fire. Students re-located to schools around the province were assisted by IODE members who provided school supplies, backpacks and funding for breakfast and lunch programs. Twenty-four hundred homes and buildings were destroyed and the fire forced the largest wildfire evacuation in Alberta history at roughly 90,000 people. The fire consumed approximately 590,000 hectares of land and was finally brought under control on 05 July. Suspected to be caused by humans in a remote area, fueled by winds and tinder dry conditions, it continued to smoulder until late spring 2017. Thankfully, no one died. On 16 May, whole neighbourhoods were flattened by a devastating wildfire in Slave Lake, Alberta.. The wildfire swept through the town of 7,000 destroying upwards of 40% of the buildings. $5,000 was donated from the IODE Canadian Disaster Fund to help refurnish the children’s section of the Slave Lake Public Library. In August, a devastating tornado destroyed a large portion of the town of Goderich, ON. Many community members were left homeless. $2,000 was donated to assist IODE Maple Leaf Chapter with the building of a playground at a 12-unit housing complex being refurbished at the time of the tornado. The finished playground was necessary before residents could move in. Manitoba: Floods In the spring, massive floods in Manitoba destroyed some communities. One community of 600, Ojibwa First Nations of Lake St. Martin, was moved to Winnipeg. Their school, temporarily meeting in the Salvation Army Community Centre, was in need of school supplies for these students. IODE purchased approximately $3,000 worth of school supplies for these students. Quebec: Floods During May, more than 3,000 houses were flooded and 1,000 people forced from their homes in the worst flooding to hit the Richelieu Valley, QC, in 150 years.$3,000 worth of gift certificates were sent to those that lost so much in these floods. New Brunswick: Floods In December, victims of the devastating floods in Charlotte County Region, NB, received gift certificates to assist in purchasing items they needed immediately. $5,000 was forwarded through IODE New Brunswick from this fund which is maintained by contributions from members. Haiti: Earthquake To alleviate suffering following the devastating earthquake in Haiti, IODE Canada supported a Canadian agency, Team Canada Healing Hand, with a donation of $3,000. The agency provided volunteers who travelled to Haiti to educate health and community workers in rehabilitation skills. Medical equipment was purchased and the cost of volunteers’ travel was covered. New Brunswick: Floods In May, $3,500 was made available for the purchase of gift cards to provide relief to the victims of the spring floods in New Brunswick. Ontario: Floods Donations contributed by chapters and members provide relief to disaster victims. 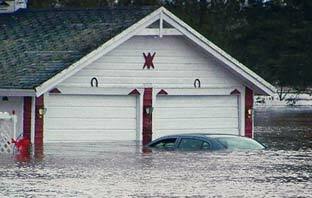 Peterborough, ON, was the recipient of funds after the devastating floods in July 2004. Sri Lanka: Tsunami At the 105th National Annual Meeting in Edmonton, Alberta, members voted to forward funds donated to the IODE Canadian Disaster Fund designated Tsunami Relief to the Paynter Home Orphanage, Nuivari Eliya, Sri Lanka, to improve the quality of life for children in their care affected by the 2004 Tsunami. Thanks to the efforts of members, a total of $6,000 was sent to the Paynter Home Orphanage. Nova Scotia: Hurricane Following Hurricane Juan in 2003, IODE Canada allocated to IODE Nova Scotia $2,500 to assist fisherman with the purchase of lobster traps. USA: 9-11 The National Chapter of Canada IODE contributed $2,000 to the Canadian Red Cross – USA Appeal for victims of the events on September 11, 2001. Ontario, Quebec: Ice Storm After the ice storms ravaged Eastern Ontario and Quebec, IODE and its members were there to help in this time of need with collections of donated clothing, diapers and food. Over $24,500 was given towards the Ontario and Quebec Ice Storm Relief Fund. Manitoba: Flood During the floods in Manitoba our members raised over $14,000 to assist victims of the Manitoba Flood.